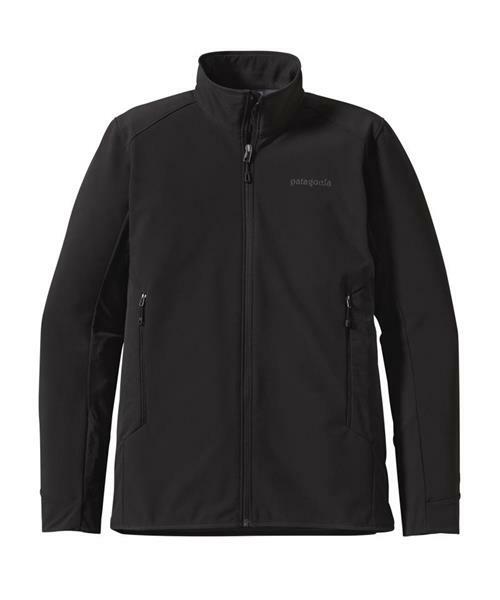 Like a perfect rope length of climbing with just enough protection, Patagonia's Adze Hybrid Jacket lets you move without hesitation. The front, back and top of the arms are protected against cold and wind with a Polartec® Windbloc® polyester/spandex stretch-woven fabric that’s lightly insulated with a comfortable, warm and wicking fleece grid backer. Meanwhile, low-bulk, unlined, stretchy double-weave soft shell panels run up the sides, under the arms and down into the sleek, modified Variable Conditions Cuff, offering enhanced breathability and mobility. Zippers secure the two handwarmer pockets (placed above harness-line) and the internal chest pocket. The no-bunch hem adjusts with a cord inside the handwarmer pockets. With a DWR (durable water repellent) finish.